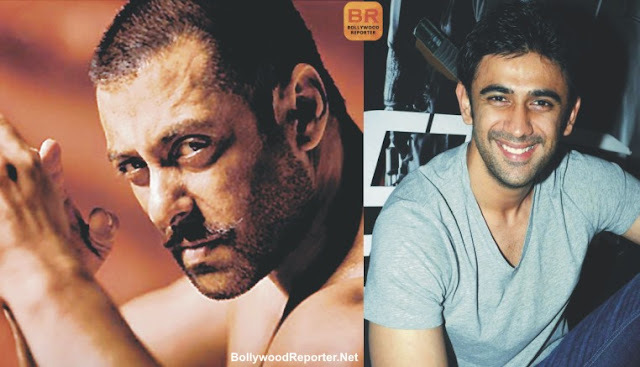 Earlier it was reported that Amit Sadh will be playing a important role in Salman Khan starrer Sultan and now we have come to know what role he will be portraying? Kai Po Che fame, Amit is all set to play younger Salman Khan in Ali Abbas Zafar directorial. According to sources, "While Salman would be seen playing the 30-plus Sultan, it was felt by the producers that Amit would be a suitable candidate to play the younger avatar of the wrestler. Physically, he is very similar to Salman. Also they have similar facial features — big eyes and broad face — so it is actually quite a smart casting choice." It was also rumored that Sanjay Dutt will be playing Salman'n couch in the film but now it looks like Randeep Hooda is roped in to play the couch. Still, makers are hunting for a female lead. What do you think will Amit Sadh suit in the role of younger Salman? Comment down please.